Architect of Rock & Roll, Father of Funk, Progenitor, Songwriter, Producer, Arranger, Innovator, Spiritualist, Carpenter, Eccentric, Genius... Eddie Bo was all these things. A glimpse at the incredible discography that Martin Lawrie has compiled over on SoulGeneration begins to reveal the depth of his talent, and his importance in the overall scheme of things. 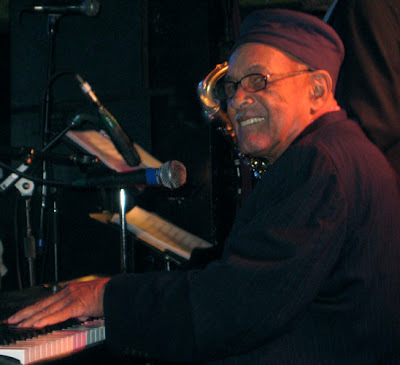 He was there playing piano on the very first Ace 45 as a member of Al Collins' band in 1955. He would transform that basic arrangement into the elemental I'm Wise for Apollo in '56 just weeks before Little Richard lifted it, renamed it Slippin' and Slidin' (Peepin' and Hidin'), and took it into the Pop Top 40 (not to mention #2 R&B) that Spring. 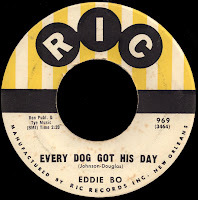 After three more Apollo singles which didn't do much, Eddie hooked up with New Orleans legend Paul Gayten, who had become Chess Records' A&R man and producer in the Crescent City. 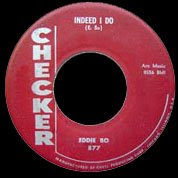 According to Global Dog, Indeed I Do (Checker 877) was the first single to be released from the sessions Bo cut with Gayten at Cosimo's in 1957. I've never heard the record... as a matter of fact I've never even seen a copy. I borrowed the scan from SoulGeneration (along with a couple of the others), where it's described as "a cool rockin' blues number that was clearly intended for the charts, there is a strong nod to Chuck Berry's sound on this one, a great late night hip shaker..." Cool. Thanks, Martin! 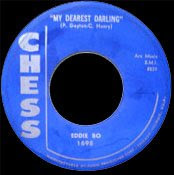 Not included on that album (just like the initial Checker single) was the flip of that towering record, the original version of My Dearest Darling. 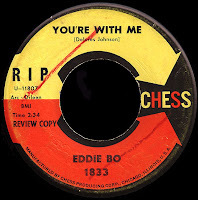 Co-written by Eddie and Paul Gayten (as was the rockin' A side), it was erroneously attributed to Clarence Henry (another Gayten protegé) on the label. 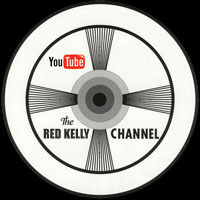 In any event, it would be taken to #5 R&B (top 40 Pop) by Chess mainstay Etta James in the fall of 1960. Just another little known fact about our man Bo. Unreal. When I picked up Jeff Hannusch's I Hear You Knockin' there in those mid-eighties, I devoured it like it was the map on the back of the Declaration of Independence. 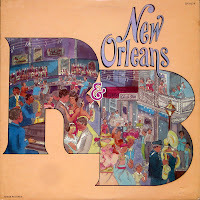 I couldn't get enough New Orleans, and drove my friends crazy with arcane facts about little known 45s. Although Eddie was mentioned a dozen times in the book, he remained a kind of shadowy figure, showing up where you'd least expect it. The feeling I was left with was summed up, perhaps, by something Joe Banashak was quoted as saying in the book; "I always felt that there was something that didn't fit, or was out of tune on everything Eddie Bo produced. I tried to tell him, but he just laughed." I'm sure he did. My eternal quest for Bo vinyl began in earnest, and I began to dig up some of his Ric material on my forays down to Sugar Town. Once again, I was blown away. How could music this good have gone unheard for so long? We've talked before about Eddie's stint with Joe Ruffino's labels and how his skills as a songwriter, arranger and producer (along with his partner, Mac Rebennack) were all over other great records by the likes of Irma Thomas, Robert Parker and Tommy Ridgley. 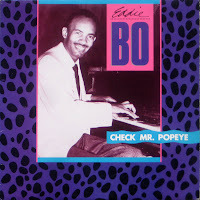 After bolting from Ric and Ron, Bo signed with the tiny Rip label which was owned by a local character named Rippo Roberts. 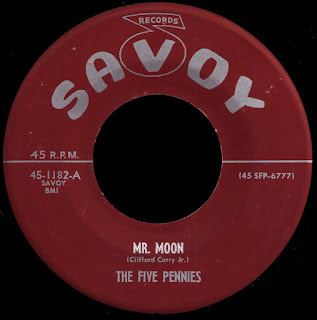 His first two Rip singles didn't make much noise and, unwilling to get burned again, he secured national distribution for his third release with old pal Paul Gayten at Chess. Both sides of the record show a little bit of Brother Ray's influence, which is not surprising as he just owned the top five that summer. 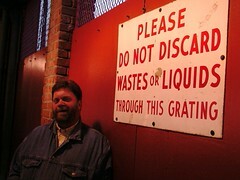 I guess Eddie thought that with the big company behind him, he might have a shot at some of that fine dough. Another great record, the guitar is just amazing once again. 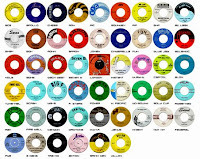 The Chicago company was busy with its own artists, I imagine, and was releasing timeless records of their own in 1962 like I Ain't Superstitious, You Need Love and One Way Out, and as such it may not have been that high on their list. It didn't sell. 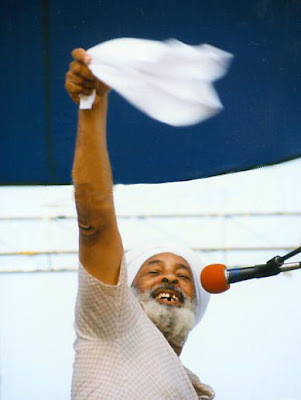 As luck would have it, my own personal odyssey as a fan of all things Eddie Bo was intensified by my witnessing his triumphant turban wearing, second-lining, hookin' and slingin' return to Jazz Fest in 1989. He was back in 'the profession of music' big time, and I'm here to tell ya he took the crowd to another level. I made it a point to see him every time I was down there after that... I remember a riverboat thing he did with Wayne Bennett (carrying on his tradition of having a top notch guitar player in the band) in like '91, where I got to actually meet and hang out with both of them in between sets. I was just in awe. As the years went on, I spoke with him a bunch of times, at places like the Rock 'n' Bowl, and I never lost that feeling of like 'Oh my God, I'm talking to Eddie Bo!' I was just a huge fan. The last time I saw him was when my pal John Ciba got me backstage last year at the Ponderosa Stomp. Eddie was waiting to go on for a midnight set. Even though he was tired, he went out there and just killed them. I can't believe I'll never see him again. "We should seek love and distribute love, and seek to be moral," he said. Thanks for all the love, my brother, may you rest in peace. I just heard the news...All I know is, when I get home tonight, I'm putting "My Heart Was Meant For You" on the turntable, and I ain't takin' it off.. Very nice Red. 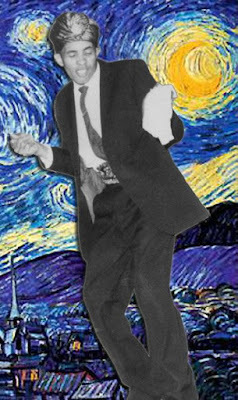 I like the Vincent Van Bo pic as well. 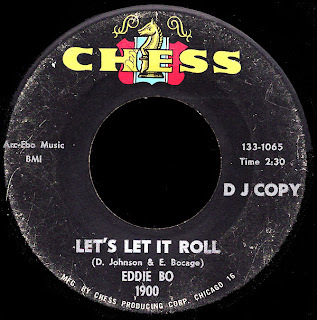 One other note, I always saw 'Let's Let It Roll' as having borrowed from 'It's Alright' by the Impressions. Am I nuts??? Well, Larry, you may indeed be nuts, but not for thinking that! It most definitely has that developing 'Chicago Soul' sound down, which was probably all the more reason Chess was interested in picking it up. 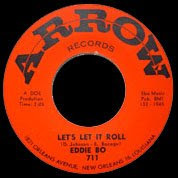 'It's Alright' topped the R&B charts in the fall of 1963, so I imagine, just like with the earlier Ray Charles sounding stuff, that Eddie was aiming for the gold. 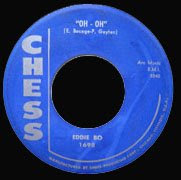 Chess, for their part, must have been trying to remain with the R&B program... as evidenced, like I was saying, by bringing in Billy Davis from Detroit. By March of 1965, the Davis-produced 'We're Gonna Make It' would put Little Milton (and Chess) up there at #1 R&B for three solid weeks using that same formula. All just great records, IMHO. ...and, yeah, Zlatko I hear ya on that early Apollo stuff. I, for one, have had Larry's Funky16Corners Radio v.49 - Eddie Bo Gets It Together behind his Many Heavy Friends on infinite repeat over here since Friday night. Bless your pea-pickin' soul, Eddie. RIP, my brother. The memorial service for Bo will be Wednesday April 1 (Eddie would have liked the fact that it's on April Fool's Day!) 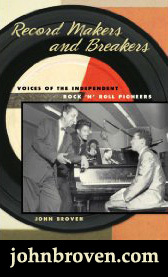 at the Rock 'n' Bowl from 2 to 5 p.m. with speakers Nick Spitzer and Offbeat's Jan Ramsey and performers Allen Toussaint, Joe Krown, Walter "Wolfman" Washington, Bunchy Johnson, Deacon John and more. The memorial won't be a funeral, but more of a party so Eddie's fans, friend and family can share good memories of his life. What a loss! I've only been to New Orleans three times, but every time I made to sure to see Eddie Bo play. W.